Most of us honestly have a few pounds to lose before Christmas and those of us who don’t still need to be concerned about our health. So a product that has an unbelievable amount of antioxidants is going to be huge benefit. There are plenty of studies out there that show that eating more antioxidants is what keeps your immune system strong and able to fight disease. Add the fact that we are talking about Chocolate here, the food we all love in desserts and crave on a regular basis. Lose weight and be healthy. Just Change Your Chocolate! Not really a hard sell. So when I found out that not only could I lose weight and improve my health, but that I could earn money sharing this with others, I was intrigued. Actually, more than intrigued. I looked at the compensation plan and it seriously peaked my interest. It did not take me long to realize the potential here. 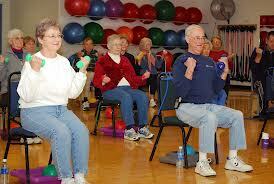 Honestly the health and wellness arena is where it is at considering the Baby Boomers are making the current trends. Baby Boomers want to be healthy and they are looking for healthy alternatives. So not only can this improve your health, it can improve your wealth. Talk about the kind of change you want to make as we head into 2014. So this is all you need to do. Sign up as an associate for XO Healthy Chocolate. This gets you wholesale pricing. All you pay is a $39 fee which includes your website and back office and at least two products. Choose the “subscription” option to get 1 product shipped to you each month (28 days). When you choose this option, you will receive a free product of your choice every third month for the first year. AND so will your team and your customers!! Contact me if you want the scoop on the compensation plan. better advertising than watching the pounds melt off your body! 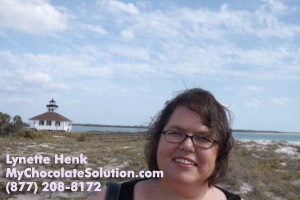 Call me at 941-216-5727,email me at Lynette @ ChocolateDreamDiet.com or visit MyChocolateSolution.com and lets improve your Health & Wealth. Sign up now and I will even set up your website, domain name & blog to get you started.